Used to be, learning at school was a bore. Textbooks and textbooks and textbooks. Snore! In class, teachers would talk, students would hear. It was the same old story year after year. With a class set of computers. The students all cheered! Our teacher showed us what these new tools could do. We played fraction games. We Skyped with the zoo! To research and learn about a topic we choose. I tried simulations. Collected data, too. I emailed an expert. Read cutting-edge news. To demonstrate knowledge and mastery earned. But then all of a sudden, the words just poured out. I showed them my slideshow with media galore. My friends clapped and asked questions and begged me for more! My teacher joined with them. Could this really be? That along with my teacher, now a teacher was me? My work mattered enough to see, read and hear. All this work would actually be worth it to do! So, I darted online to blog on my day. Would the rest of the world really care what I say? I posted my project as my global debut. Other teachers and students were soon commenting, too! I’m an author, filmmaker and scientist extraordinaire. My voice makes a difference. I now know it’s true…. And technology helped me to share it with you. #FETC14 Countdown: Innovative Workshops Not to Miss! 2014 is right around the corner… Kick off the new year right by plugging into innovative sessions and workshops at upcoming conferences across the country! Whether you can make it in person or join in virtually, this is a great time to get connected to the best that ed-tech has to offer. I’ll be starting out the year at FETC in Orlando from January 28-31. If you are planning to be there, I’d love for you to join me in one of my workshops as we explore the transformative potential of using technology in the classroom. Here are three opportunities… and remember to pre-register for these workshops early while there are still spots available! Today’s interactive, relational and tech-savvy students are not the same 21st Century learners we had the first decade of the millennium and our technology curriculum and integration shouldn’t be either! Join us as we explore proven and emerging ways to revolutionize your class and school with a technology-infused curriculum that drives student discovery, problem solving, collaboration and creativity, all while meeting the demands for academic achievement. By using Web 2.0 collaboration tools, parents become an integral part of your classroom and their child’s learning! With interactive demonstrations, free resources, best practices, and testimonials, you’ll move forward inspired to turn your classroom into its own digital village. In this interactive session, attendees will engage live demonstrations of collaborative web environments, explore best practices for implementation, view diverse examples, and delve into free, effective collaboration tools like blogs, wikis, Voicethread, video-conferencing, writing apps, online whiteboards – and more! Discover powerful web resources and best practices perfect for connecting young learners around the globe. Gain ideas for tools like Google Docs, Storybird, Voicethread, ePals, Skype, Flockdraw, Quadblogging and more. In no time, your students will be sharing videos, images, knowledge and skills; blogging; storytelling; and even creating websites with other students across the classroom or around the world. Bright, independent, critical thinkers. Of course, that’s what every teacher wants to have filling their classrooms. As it turns out, there are strategic ways that we can use technologies to encourage the development of these thoughtful learners. 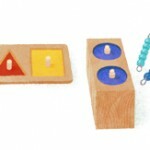 According to David Jonassen (2006), Mindtools allow students to create models of their cognitive connections. In Meaningful Learning with Technology, Jonassen and others elaborate on the Mindtool concept, stating, “When using computers as Mindtools to model phenomena, students are teaching the computer, rather than the computer teaching the student… learning with Mindtools requires learners to think harder about the subject-matter” (p. 193). As a Mindtool, concept maps specifically provoke, and then aid in modeling, the cognitive connections that students are making. Used effectively, concept maps provide an adaptive framework for students to use to identify and model connections and relationships between knowledge and ideas. In the interesting TED Talk, How Brain Science Will Change Computing, Jeff Hawkins (starting around minute 10) talks about intelligence as the ability to recognize patterns and connections, then using that recognition to make predictions about novel situations. In my experience, I have seen that concept maps help develop such intelligence by giving our students frameworks for developing and organizing their thought patterns. Want an easy way to give this a try? 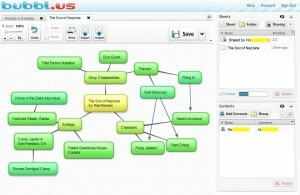 Bubbl.us allows students to have a free account where they can create and save up to 3 concept maps at any given time. The application is incredibly easy and intuitive to use. Plus, it gets better! 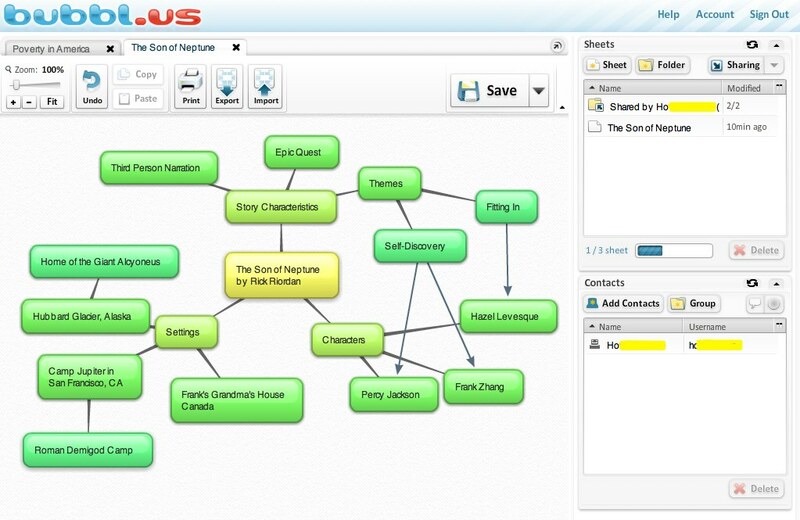 Bubbl allows students to work collaboratively on the same concept map (sheet). Students can “share” their concept maps with the other students to cooperatively work on brainstorming and research activities, provoking the type of reflective and deliberative thinking perfect for meeting Common Core standards! Here are a few ideas for getting started! Collect research with source links on a social studies topic. Brainstorm ideas for writing a narrative story. Analyze a text and organize observations. Model the relationships between key concepts/vocabulary in a science unit. Identify the cause and effect relationships of various variables on a public policy. Compare and contrast the styles of a set of artists or authors. And if you are a current Bubbl user or you decide to give it a try, I would love for you to share your ideas, success stories, or an example in the comments below! Happy mapping! Howland, J., Jonassen, D.H. & Marra, R.M. (2011). Meaningful learning with technology (4th Ed.). Columbus, OH: Merrill/Prentice-Hall. Jonassen, D. H. (2006). Modeling with technology: Mindtools for conceptual change. Columbus, OH: Merrill/Prentice Hall. As promised, tonight (or tomorrow morning depending on where in the world you live) at 11:00 PM Eastern Time, U.S, I will be presenting as well. Here’s the scoop! 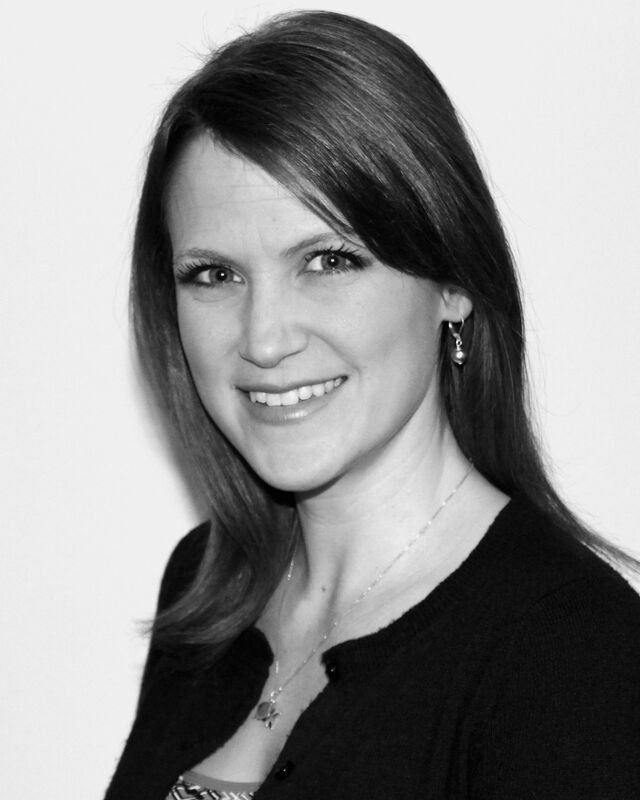 Session Description: With mountains of resources available for Global Collaboration, elementary teachers often spend hours sifting through tools and practices to find the select few that will be successful for young learners. In this high-energy session, attendees learn about powerful web resources and best practices that are perfect for our youngest learners. With ideas for tools like Google Docs, Storybird, Voicethread, ePals, Skype, Flockdraw and more, participants will learn how to find other teachers and classes who are interested in collaborating, how to set-up 21st century learning activities that promote global awareness and real world problem solving, and easily implement these new tools in their classroom. In no time, elementary students can be blogging; digital storytelling; sharing videos, images, knowledge or skills; and even creating websites with other students across the classroom and around the world. Today guarantees to be another wonderful day of connecting and learning. Once again, the full GlobalEdCon schedule can be found here. And remember, you can follow #GlobalEd12 or me (@EngagingEdu) on Twitter for ongoing updates, tips and highlights as well! Connect with the free, online Global Education Conference: Nov 12-16! Today marks the first day of the 2012 free, online Global Education Conference. Running all week, nearly 24 hours a day, this conference offers incomparable diversity and opportunities for global connections. Here are a few of today’s sessions I think you’ll find interested… and details about the session I am presenting tomorrow, too! The full schedule can be found here. And remember, you can follow me on Twitter for ongoing updates, tips and highlights as well! Discover powerful web resources and best practices perfect for connecting young learners around the globe. More details here. I would love to connect with you through #GlobalEdCon this week. If you see me, please say hello! And have a great conference!